The online LPN to RN bridge program is an exciting opportunity for current LPNs looking for fast-forward their way into career success. There are several benefits involved when advancing your degree, including increase career opportunities, more pay, and a higher quantity of knowledge in the field. If you are seeking a financially-smart option for pursuing these opportunities, online LPN to RN programs may be your best bet. Not only can you lower your out-of-pocket costs for housing and course work, but being able to work while going to school can reduce your opportunity costs throughout the program. The advantages of online education range from added convenience to time conservation, which are highly important factors to consider when choosing an online degree program. As you weigh your options for advancement, consider online programs as a primary means for achieving the degree of your dreams. 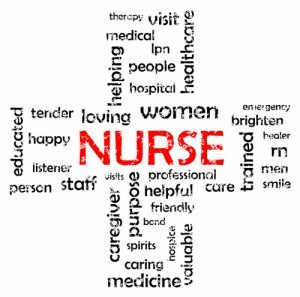 Registered nurses are highly sought after by busy hospitals and medical centers, due to their knowledge and responsibility in patient care. If you are ready to make the change into more providing ventures for your future, our team of educational experts have provided some information for you to use along the way. Take a look at our guide below to find out how to be a part of transformative online LPN to RN programs. How Can an LPN Become an RN? How Much Does An LPN to RN Degree Cost? When you decide to further your degree, the first thing you might consider is how much it will cost you. With tuition costs on the rise, weighing your options prior to applying to colleges is definitely the smartest first step. Depending on which university you choose, the cost of tuition may vary greatly compared to other colleges offering the online option. As an example, Herzing University offers an online LPN to RN bridge program that can be completed in about 1 year. This program requires that students complete 48 credits prior to graduating. With tuition coming in between $8,000 and $10,000 per semester, you could be looking at close to $40,000 in tuition costs alone. Allegany College of Maryland charges a rate of $229 per credit hour for students that are in-state and $275 for students that are out of state. In-state residents are looking at $10,992 for 48 credit hours while out of state residents will have $13,200 in tuition costs. Another financial aspect to consider is the fees associated with each school. You might see fees labeled for registration, technology, orientation, testing, and even a graduation fee. Depending on what the fee is for, you may pay them per-semester or one-time in some instances. As you can see here, the costs of tuition can be significantly different depending on where you look, so always consider thorough research prior to picking a college for your education. On top of educational costs such as tuition, books, and fees, you may also find costs associated with higher education that are not immediately visible. Depending on the length of time you spend in a degree program, you could be missing out on years of work at traditional universities. Think about it. If you are currently making $25,000 per year in your current position and you miss 3 years of work to go to school, that is $75,000 lost in wages alone. One important thing that online LPN to RN programs offers to students is the ability to continue working while going to school. This can reduce the overall opportunity costs from lost work during the enrollment period. For some people, taking off work is simply not an option. If you are one of these people, you know the value of having a convenient option for your degree. Through online LPN to RN programs, students can increase their knowledge in the field of nursing while applying it in their current career. The hard work and time requirement that is required of higher degree programs can be a building block for successes after graduation. Convenient online platforms can make it easier than ever to be a part of a transitional degree program with numerous opportunities attached to it. If you want to reduce the amount of lost wages associated with a college education, online LPN to RN programs are likely the best option for you. If you are current a LPN, you might be wondering how to go about upgrading your degree to RN level. Since the demand for nurses has risen over the years, more people are finding it beneficial to embark on greater nursing possibilities. Transitioning to RN status from LPN makes the best possible sense as a first step towards career success. 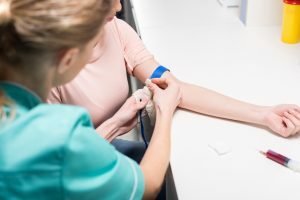 The best way to obtain a degree as a registered nurse is to enroll in an educational program that provides further education in the field of nursing. There are numerous LPN to RN programs available that can assist you with gaining the additional knowledge required to be a registered nurse, without have to fully envelop yourself within the standard 4-year program. LPN to RN programs were designed to accommodate for your previous knowledge and experience in the field of nursing, so that you can focus on a curriculum that consists of information you have not already learned. In addition to standard LPN to RN transition programs, online degree programs have been created to ease the stress and time-maintenance of going back to school. Students that wish to take part in these programs can indulge in the added benefits of flexible scheduling and work-as-you-go options. As part of your transition, there are many legal and responsibility-related differences between being a license practical nurse and a registered nurse. These differences are outlined throughout online LPN to RN programs. As you enter into these programs, you may be introduced into topics that build upon what you have learned through your initial educational experience. You can gain a better understanding of what you will be responsible for as a RN, which is different than what is required from a LPN. If you are wondering what you should do next to get your degree underway, researching available online LPN to RN programs is your solution. Another pivotal component of online LPN to RN programs is the profound difference in financial opportunities. While most people want to find a career that makes them happy and is worth the hard work, it is always important to consider how the job will pay you back in the long run. As a LPN, you may have great opportunities available to you in hospital or medical center environments. According to the Bureau of Labor Statistics, you can earn $44,090 per year on average while working as a LPN throughout the United States (BLS; 2015). Even at this level, the job outlook for this career path is still on the rise, with the growth rate being an estimated 16% from 2014-2024 (BLS; 2015). Now, knowing the statistics for LPNs, take a look at the difference in average pay for registered nurses. The average rate of pay for RNs in the United States is around $68,450 per year (BLS; 2015). That is more than 150% of what you could make while working as a LPN. The growth in this field is also estimated at 16% over the next decade, which is another reason that so many people find nursing a great place to settle into a career (BLS; 2015). Investing into an online LPN to RN program takes time, effort, and money. However, the rate of return on this investment could prove to be well worth what you have put into it over time. The healthcare field is one that remains strong in the field of business, especially with the rise in medical technology and research. As the years progress, you may see your degree become even more sought after from hospitals and medical centers that require only the most qualified professionals. If you desire a degree transitioning program that can truly hold its weight in reliability, online LPN to RN programs are definitely a wise choice. Human Growth and Development: This course outlines the various stages of human life. Students may get an in-depth look into the prenatal, childhood, adolescent, adult, and geriatric stages from a medical standpoint. Students in this course can become accustomed to the variations of health and wellness between each stage of life, as well as become more knowledgeable of the risks more prominent within each group. The theories related to development, genetics, language, aging, and death may also be discussed throughout this course. Complex Care of the Adult: Students taking this course may be introduced to the different methods and expectations surrounding nursing care to adult clients. Specialized care for adults may be discussed throughout the course, as well as adult-focused treatment and therapies. Nursing responses and quick thinking are highlighted throughout this course, which is a major component in working with adults in a medical environment. This course may also discuss situational responses to cardiac, respiratory, endocrinologic, and burn events. Pathophysiology: Pathophysiology is a course that focuses on the knowledge of pathological processes within the human body. The relationships between the different organ systems may be discussed, providing students with a better understanding of the human body from a preventative and treatment standpoint. Having better knowledge of how the body operates can assist nurses with giving better service to their clients and the doctors they work with. Possible deviations from homeostasis may be investigation, which can give a better foundation for nursing in a fast-paced environment. Care of the Family: This course involves a look into what is required to provide preventative, treatment, and lifelong services to family units. Some topics in this course may include vaccinations, treatment of injury and illness, and health coaching for women in childbearing years. From childbearing years onto early childhood development and aging, there are a wide range of services needed to support diverse families. Students in this course may learn about how nutrition, environment, and sociological component play into family health, as well as methods for educating families on better health practices. Microbiology: As one of the primary courses for nursing, Microbiology can provide a fundamental understanding of microorganisms and human diseases. In order to fully assist in the nursing realm, students must be able to discern between the different illnesses and diseases prominent within society. Students in this course may learn about pathogens and their effect on society, as well as how disease and illness are transmitted within different areas and methods for prevention and immunity. Why Should I Take Time to Become an RN? In this day and age, finding a career that can provide for a growing family is top priority. You may find yourself on this page because you have been searching for a degree transition that can give you just that. Nursing is a field that calls on professionals with the desire to help people get and remain healthy. It takes a dedicated and caring individual to get involved in the field of nursing, due to the demand it can put on one’s body and mind. If you are already a licensed practical nurse, you know what it takes to be a meaningful member of a medical team. Becoming a LPN is a huge accomplishment that has many benefits on its own. However, in recent years, more hospitals are calling upon registered nurses to fill open positions, due to their further expertise in working with patients in need. If you are considering this transition, but you are not confident about the investment needed to make the change, rest assured that becoming a RN can be worth your time and effort. As a registered nurse, you can earn more per year on average than a license practical nurse. You may also be subject to more opportunities in the workforce, which is a huge advantage in the medical field. As the years go by, you will likely see an increase in the popularity in medical positions due to the increase in medical technologies. More people are searching for ways to stay healthy, live longer, and preserve their wellness for years to come. If this is a career path you can see yourself being involved with, online LPN to RN programs are available for your entry.